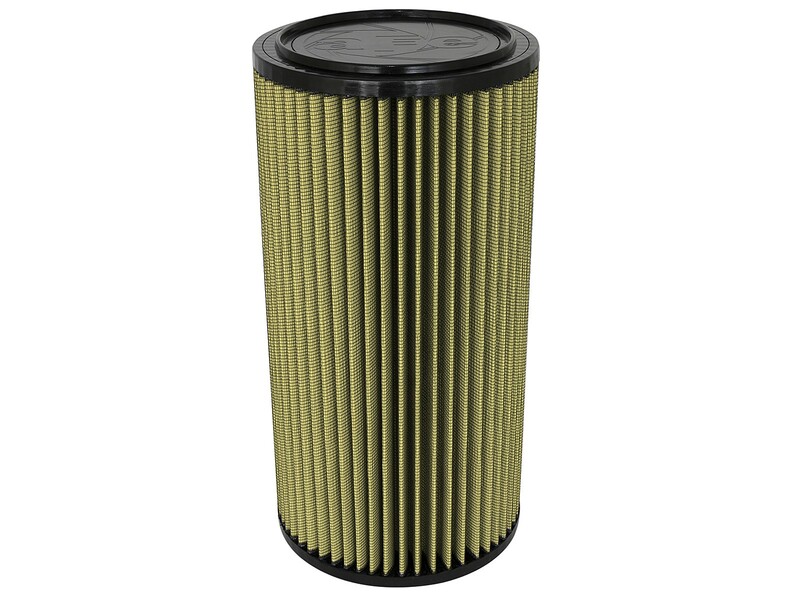 With five layers of progressive cotton gauze and two layers of synthetic dry media between 100% polyurethane top and base, the aFe Pro Guard 7 heavy duty "oiled" conical performance filter provides excellent airflow for maximum horsepower and torque for RV motor homes with pusher diesel motors. Washable and reusable for multiple cleanings. The tall, open, evenly spaced pleats provide excellent dust holding capacity for longer service cycle between cleanings. The Pro Dry S air filter has a filtration efficiency of 99.7%.